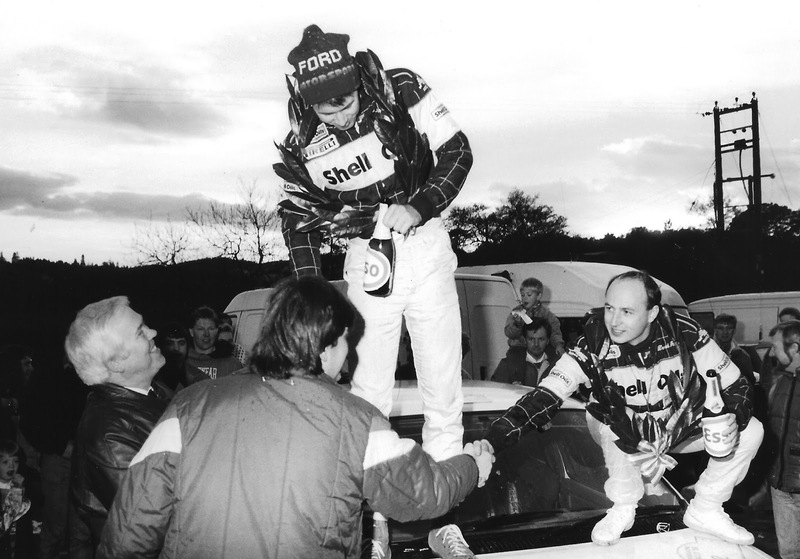 Way back in 1988 a young man was making his way in rallying. He clinched his first national title on the final round of the Esso Scottish Rally Championship, the Park Systems Trossachs Rally based at Aberfoyle. 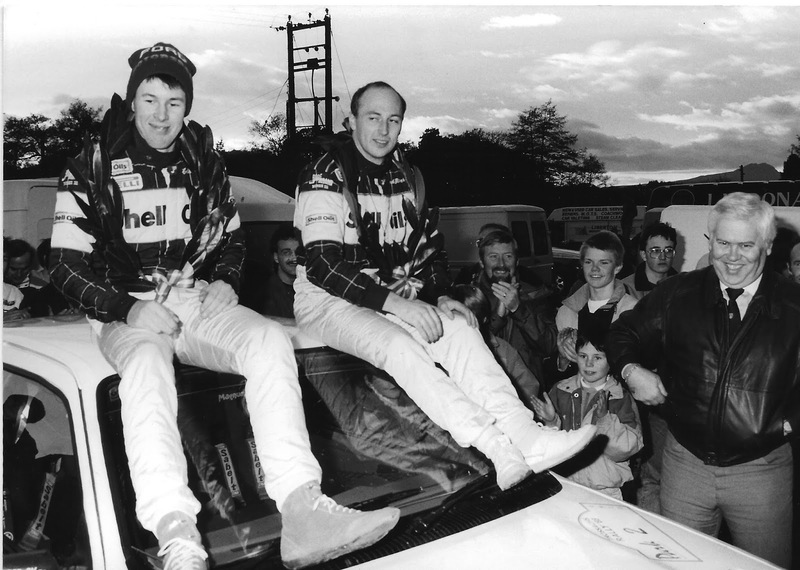 Even his co-driver is instantly recognisable despite the fact that he has much less hair nowadays. And I just wonder who that terribly handsome chap is congratulating Colin and shaking Derek by the hand. A really flattering view of the chap!